Samsung Galaxy A (2017) present this Series by bringing various new innovations, including the important features that are ' hidden ' by default. This is simply a new variety can be utilized to facilitate You while using the facilities provided the Galaxy A (2017) Series. Then, what the heck are these features? How did the setting? It can be said as a typical feature is the latest in A line of Galaxy Series. Floating Shutter is claimed capable of presenting a new experience in using cameras. By enabling Floating Shutter, you clicked the photo so much easier in all position holding a cell phone. Unfortunately this feature is off by default. You should do the trick in brief to enable it. 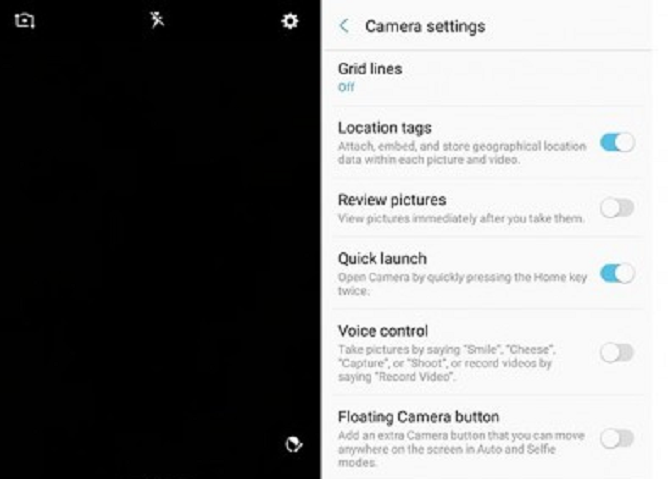 A feature of this fact, there is a Floating Shutter in the camera settings option, and does a little setting. In the camera mode is active, select the settings icon in the top right corner. Next, scroll down to find the option ' Floating Camera button ' and activate option is toggle bar by shifting to blue. Return to the viewfinder of the camera, you will find an icon Floating Shutter. Press and hold the few moments the icon, and you can move it to any screen area according to the wishes, which should definitely make it easier for you when will the photo clicked. In fact, this one features can help you to see some of the applications that are run together. How it looks in the form of two separate screen section. This ability is actually so the features natively on Android 7.1 Nougat. However Galaxy A5 (2017) and A7 (2017) that still use the version 6.0 Marshmallows, Samsung was able to host it. 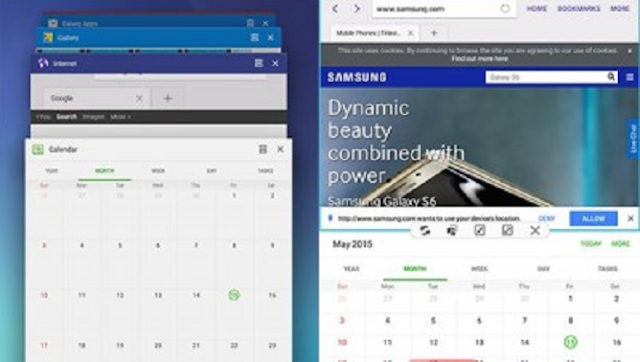 However, not all applications support split screen function. Well, to be able to enable Split Screen, you simply press and hold down the recent Apps a few moments until the list of applications with two window screen. Next, you can simply open the applications which can be shown in Split Screen. In fact, this feature is already available in some older Samsung phone type. By activating the mode One-handed, you can access the various features as well as mobile applications with one hand. 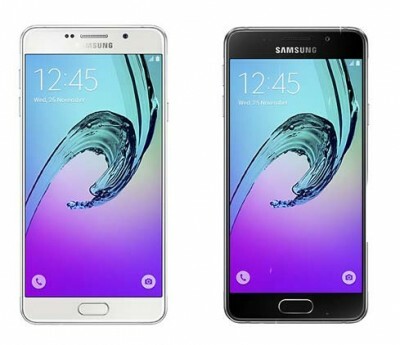 These features exist in the Galaxy A5 (2017) and Galaxy A7 (2017), but not in the Galaxy A3 (2017) that does have a very small screen size. This feature is off by default, and to enable it go into the menu Settings select Advanced features > > Search and activate the option One-handed operation with shift toggle bar. You frequently indicate a specific application or impressions YouTube to colleagues, can take advantage of the features of Pin Windows. This feature allows you to always display specific applications on screen display cell phone, so that other people cannot leave the display to see the menu, applications or other function on your mobile phone. To enable this feature, go to the menu ' screen lock and security ' > other security settings, and find the Pin option Windows. Sliding toggle bar to activate it. Next open the recent apps and select the desired application, at the bottom of the display of the application you will find the icon Pin (nail) and press Start to start the Pin Windows. If it is not required, you must disable Pin Windows by pressing back button and are recent apps simultaneously. In addition to save battery life, turn a little Blue Light Filters can also reduce the effects of exposure to excess blue light which according to research can damage the eyes, if you look at the screen too long mobile phones. Blue Light filter is active; it will automatically make the cell phone display screen so it looks dims with the glow of the yellowish color of the form. This feature is not active by default, but you have to set it up first. Go into the menu Settings Display > > Blue light filter. Here, you can enable it continuously or based on a schedule. Although arguably not new innovations from Samsung, but this feature is in fact quite useful when you are in a State of emergency. 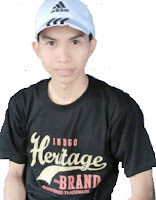 For example, while it is in danger, or the time of the crime. Through this feature, you can send out emergency messages in the form of image or sound to a certain number that has been registered. In emergency situations, you can just hit the power button 3 consecutive times to start sending out the SOS message. To be able to use it, you must do a little setting. 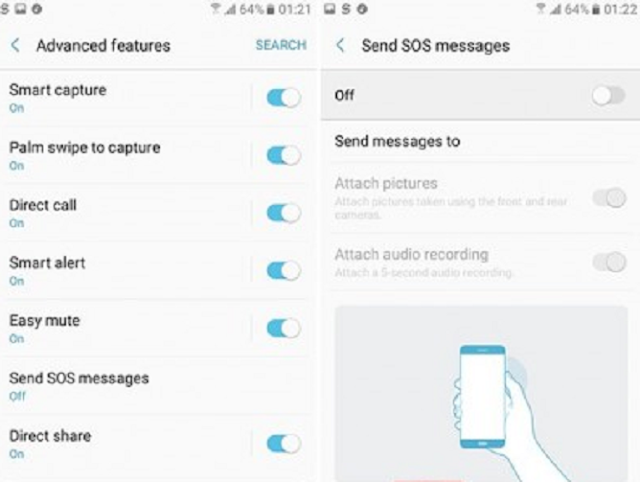 Go into the menu Settings > Advanced features > Search Send SOS message, open and turn on.